With the advent of open-access quantum computers, scientists at the University of Chicago saw an opportunity to do a very unusual experiment to test some of these quantum principles. Their study, which appeared Jan. 31 in Nature Communications Physics, essentially hijacks a quantum computer to discover fundamental truths about the quantum behavior of electrons in molecules. 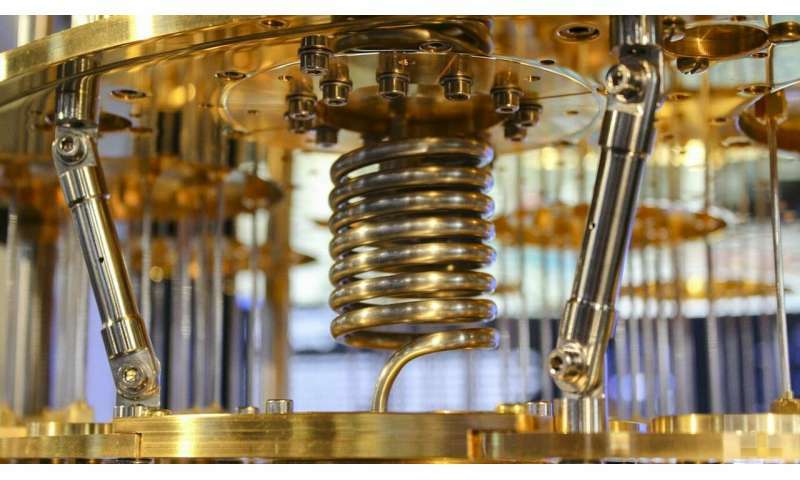 "Quantum computing is a really exciting realm to explore fundamental questions. It allows us to observe aspects of quantum theory that are absolutely untouchable with classical computers," said Prof. David Mazziotti, professor of chemistry and author on the paper. One particular rule of quantum mechanics, called the Pauli exclusion principle, is that two electrons cannot occupy the same position in space at the same time. In many cases, a molecule's electrons experience additional restrictions on their locations; these are known as the generalized Pauli constraints. "These rules inform the way that all molecules and matter form," said Mazziotti. In this study, Mazziotti, Prof. David Shuster and graduate student Scott Smart created a set of algorithms that would ask IBM's Q Experience computer to randomly generate quantum states in three-electron systems, and then measure where the electrons are most probably located. "Suppose that the generalized Pauli constraints were not true: In that scenario, about half of the quantum states would exhibit a violation," said Smart, the first author on the paper. Instead, in the many quantum states formed, they found that violations of generalized Pauli constraints occurred very rarely in a pattern consistent with noise in the quantum circuit. "The simplest generalized Pauli constraints were discovered theoretically on a classical computer at IBM in the early 1970s, so it is fitting that for the first time they would be experimentally verified on an IBM quantum computer," Mazziotti said. The discovery is another breakthrough at the frontier of quantum efforts at the University; recent efforts have included a three-laboratory quantum "teleporter," steps toward more powerful quantum sensors, and a collaboration to develop algorithms for emerging quantum computers. An open question is how the generalized Pauli constraints may be useful for improving quantum technology. "They will potentially contribute to achieving more efficient quantum calculations as well as better error correction schemes—critical for quantum computers to reach their full potential," Mazziotti said. Quantum computers if they become anything will just widen the gap between civilian computing devices and government, industry, etc., devices. Why? Because people aren't going to keep dewars of liquid nitrogen at home. What do you think "quantum computer on a chip" actually means, anyway? They don't require dewar flasks of liquid nitrogen. They're self-cooling. That's so you can turn them off.